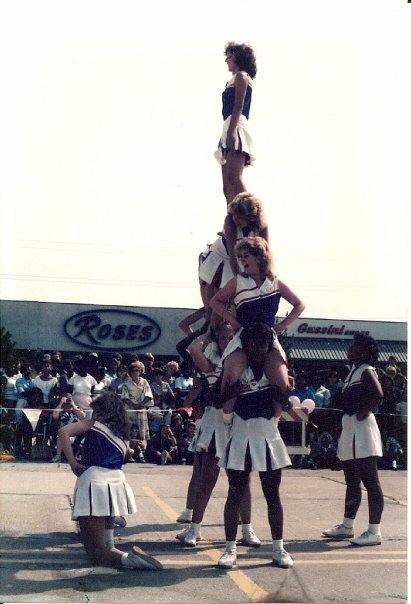 At the age of five, the wonderful world of cheering was opened up to me when I joined an older squad as their mascot. I guess I was more of a junior cheerleader, but whatever my role, I definitely remember standing alongside the older girls and cheering at the basketball games. I gave eight additional school years to the sport (some consider it only an extra-curricular activity) and found a great sense of purpose in cheering, yelling, dancing, jumping and teaching others to do the same. He answered, Renee, I made you a cheerleader, but you are to cheer my Name and my fame. What an answer! I had prepared to hear the Lord tell me that I had spent the majority of my childhood misguided. Instead I learned, once again, that He uses everything to bring Him glory. His answer made my heart leap for joy because I had already resolved to live by the truth found in Isaiah 26:8. My mission is to walk in His ways, wait for Him, and to have His name and renown as the desire of my heart. In short, I am to cheer His Name and His fame. A few months after that conversation with the Lord, a friend called to ask if I would like to come speak to the ladies group at her church. She told me that she had described my giftedness to the ladies by saying I am God’s cheerleader! She asked me if I thought that was funny, but I responded saying it made perfect sense! Today, I am thinking more on the notion of being God’s cheerleader… My purpose is to see Him on display and to cheer His victory. But that’s only part of it. As any good cheerleader knows, we are most effective when we can elicit the same excitement from the crowd. I simply am not content to give God all my praise while I turn my back to those who are watching and waiting. No, I will face you, tell you how great He is, and invite you into this experience of giving perfect praise to a perfect God! Ascribe to the Lord the glory due His Name (Psalm 29:2).